Whether you’re staying in your very own Snowshoe Mtn. Real Estate or spending your vacation in one of the many Snowshoe Mountain Resort Rentals here at one of the very Best Ski Resorts West Virginia, you’re probably going to want to spend some times on the fabulous WV Ski Slopes when you’re not enjoying one of the dozens of fun-filled activities offered in and around Snowshoe Resort. If you’ve never skied before, are a little rusty, or would simply like to improve you skills, Snowshoe Mountain Resort’s professional staff has the tools needed to teach you how to maximize your time on the Ski Areas West Virginia. Snowshoe Ski Resort offers a variety of learning programs that cater to kids, adults, groups, and even people with disabilities so that everyone who visits Snowshoe Mountain, WV will have a chance to enjoy the WV Ski Slopes. Snowshoe Resort WV offers several programs for young children, ages four to twelve. The younger children (ages four to six) can learn to ski through either half-day programs or full-day programs. The same options are available to children ages seven to twelve, who also have the option of learning Snowboarding in WV skills, as well as learning to Ski WV. Parents can rest assured that the safety of their children is the staff’s top priority; for that reason, each child will be required to wear a helmet, and, this year, each Snowshoe Mountain Rentals equipment package includes a helmet. If your child is too young to spend time on the WV Ski Slopes, Snowshoe WV offers the perfect option for you: Childcare for children ages twelve weeks to ten years is available in both the Snowshoe and the Silver Creek areas of the West Virginia Ski Resort. Group lessons are available for visitors ages thirteen and older. At a cost of only $45 per one hour and forty-five minute-long lessons, you can’t beat the value! Snowshoe Mountain Resort’s professional staff matches skiers and riders with other skiers and riders with similar abilities, and everyone in a particular group focuses on one particular concept or skill. Beginner skiers and snowboarders tend to do very well in these groups settings. Group lessons allow visitors of Ski Resorts WV to improve their skills and meet other people who are also staying in Snowshoe Mountain Resort Rentals. Families can also arrange family lessons, though these tend to work best when every member of the family shares a similar skill level. If you feel you’d benefit more from one-on-one instruction, Snowshoe Ski Resort offers private skiing and WV Snowboarding lessons, as well. Private instructors will analyze your technique and give you the skills you need to maximize your WV Ski or Snowboarding in WV experience. Though they are slightly more costly than group lessons, you’re sure to get your money’s worth when one of Snowshoe Mountain West Virginia’s professional coaches provides you with tips tailored to your own individual technique. Private instruction at Snowshoe Mountain is available to visitors ages three years old and up. Adaptive Programs are another of the wonderful options provided by the professional instructors at Snowshoe Mountain Resort. These programs cater specifically to visitors to Snowshoe Mountain West Virginia who have disabilities like physical handicaps, vision or hearing loss, and developmental disabilities. Each adaptive skiing or WV Snowboarding lesson is one-on-one and adaptive equipment is available for almost anyone with a disability. The folks at Snowshoe Mountain Resort adhere to the motto, “Skiing is for everyone!” Whether you’re new to skiing or WV Snowboarding, whether you’re a child or an adult or even someone with mental or physical limitations, Snowshoe Mountain, WV has a program that will meet your needs. 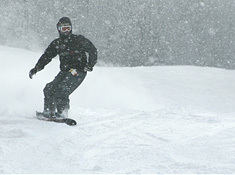 At SkiSoutheast.com, we too believe that everybody should have the opportunity to enjoy winter sports firsthand. That’s why we’ve dedicated ourselves to compiling the most comprehensive list of information on all of the ski resorts in the Southeast and the Mid-Atlantic regions. Whether you’re looking for information on how to Win a Snowshoe Vacation, looking to find out about the Best Ski Resorts in West Virginia, or trying to plan your next Ski Vacation Virginia, we have all of the information you need to make the most informed choices and get the best deals. Our Trip Planner can help you plan your perfect ski getaway and our advertisers offer some fabulous bargains on things like Virginia Ski Packages, rental equipment, and even Snowshoe Mountain Resort Rentals. 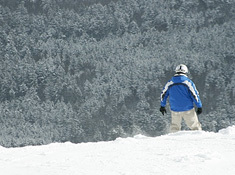 When it comes to the ski resorts in the Mid-Atlantic and Southeast, SkiSoutheast.com has all the information you’re looking for!